SharpSpring was launched back in 2014 as a full suite marketing tool to help businesses boost their marketing automation. Since then, the company has built a customer base of 1500 digital marketing agencies worldwide and more than 7,000 businesses. Today, I’m going to introduce you the new SharpSpring CRM, a powerful sales platform designed to help SMBs drive more leads, close deals, and increase sales revenue. And it’s free. Forever (you don’t even need a credit card). 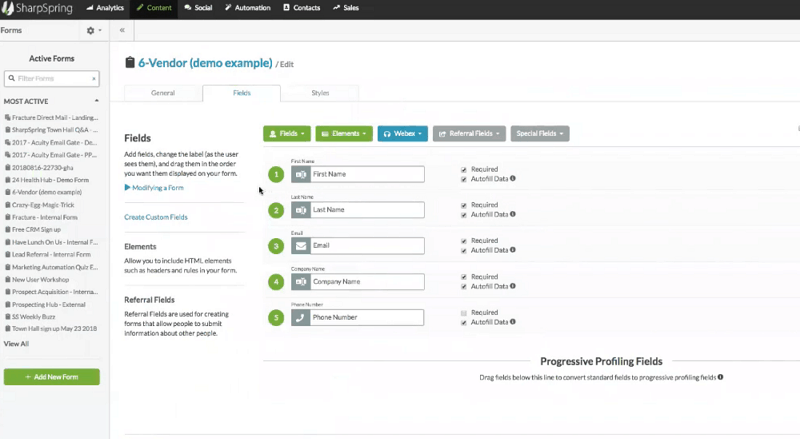 Other than unlimited contacts and users, SharpSpring CRM includes all the sales tools needed to grow a business – site tracking, form builder, pipeline management, lead scoring, sales reports, social media listening, appointment scheduler, mail sync with platforms like Gmail and Outlook, and much more. Let’s see some of the features in details. One way to find information about your leads is via the Site Tracking. their lead score (according to the pages visited). Thanks to this feature, you can follow different social media, including Twitter, Facebook, or LinkedIn. You can, for example, apply a mark on the mention rule, which then applies a lead score on the user who is mentioning your business on social media (SharpSpring is the first free CRM for small businesses providing marking automation rules to a social interaction). You may categorize your competitors and find what people are saying about them in the market. You can also engage with your prospects (previously identified via Site Tracking tool), check what they are saying about your business and even escalate a one-to-one conversation. With this feature, you can build forms and upload them to your site to collect data and begin a conversation with your visitors. Other than common fields such as first name, last name, and email, you can add other ones such as company name, phone number, city and many more. Drag and drop any fields you want to move up or down, and make each one required or not (with autofill data option, as well). If you have already the form live on your site, making changes via SharpSpring tool will automatically update it. 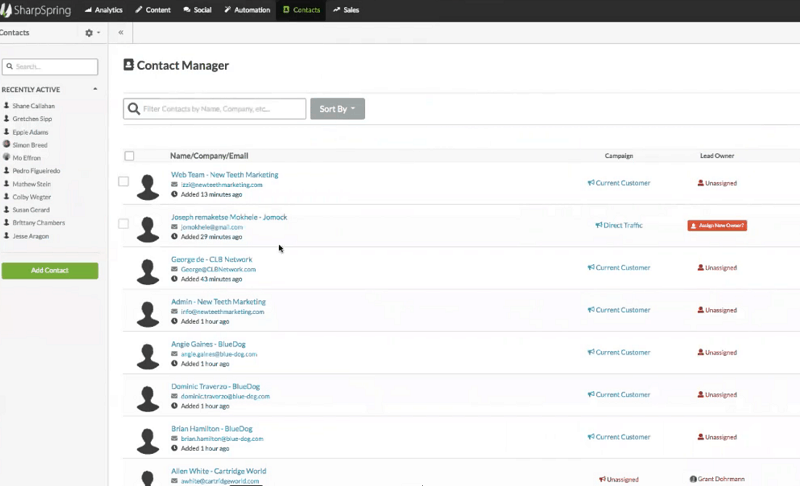 Once you have gathered the information about users, you can find the data in the Contact Manager feature. A contact example will contain social profiles, company information to reach out, description, and notes sections. One of the neat things offered in Contact Manager feature is something called “life of the lead”. This includes all the communications that have been going on in your pipeline. For example, a lead who was an anonymous visitor, has filled out the form to become a registered user, received an informative email, tried out the demo later to finally become a customer. Once you have contacts in your system, you can then reach out via email. 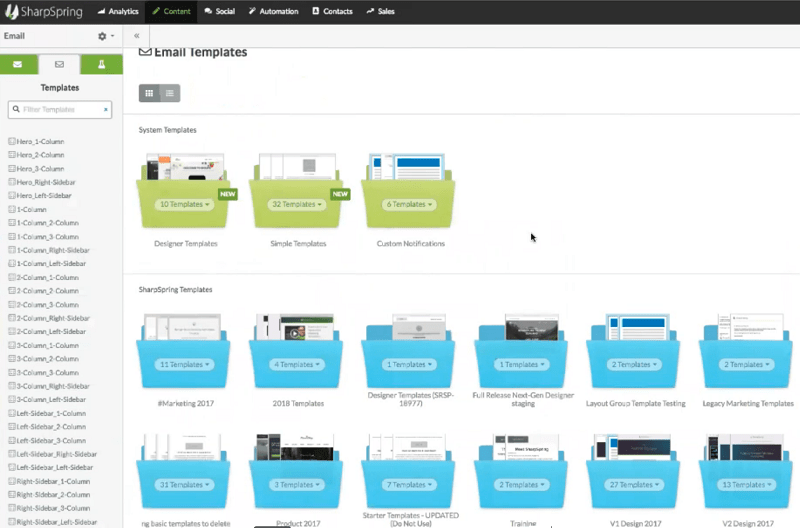 This free sales CRM provides many design templates (which are already pre-created). They are responsive, so they will look beautiful on every device. You can just choose the one you like more and send it out. Or, you may want to build your own design, using the creator tool offered by SharpSpring. It’s a robust, drag and drop builder with many options to craft the perfect email. The Lead Score is a special feature. It’s not an already set algorithm, but can be customized, according to your business needs. Set fit rules, engagement rules, to build your unique Lead Score system for every contact. In this section, you can manage all your contacts and talk with them. Once you have engaged with them, these are called “opportunities”. The pipeline can be totally customized, based on different stages, according to your sales cycle. You can set values and probabilities to close the deals, and then make a forecast value of all your contacts (see interesting data, such as all the open opportunities, the deals you have closed, and many more). 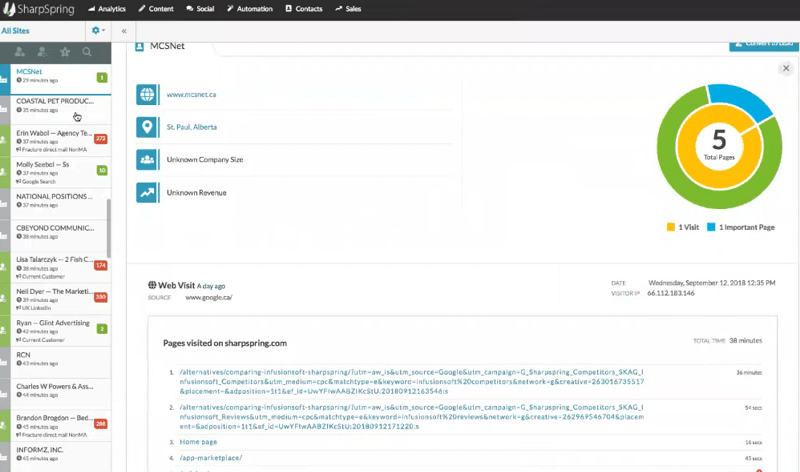 In the report section, you can manage all your pipeline reports, including your sales team. Filter by time, date and sales representant. In a snapshot, you can get an overall view of what deals you are working, the different stages and the expected values of sales. 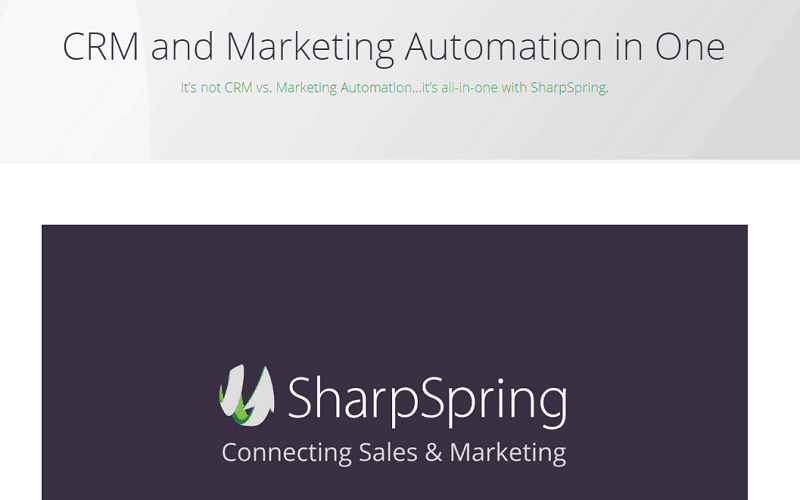 As you have seen, SharpSpring is a very unique platform in the CRM space. What a smart way for any businesses to take advantage of a free opportunity to boost marketing automation and increase leads and sales! Are you going to sign up and test SharpSpring CRM for your business? Please share your views and leave a comment below, thanks!